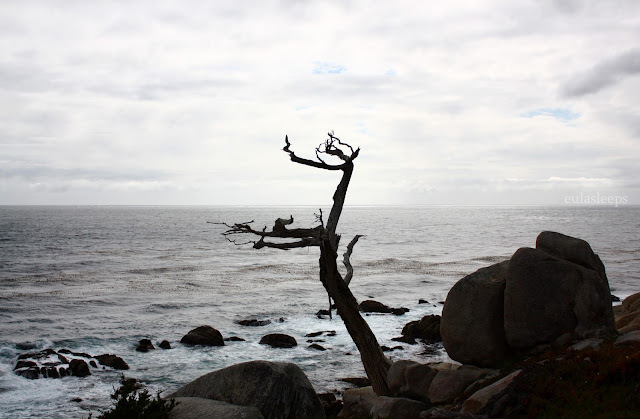 One quiet Saturday we took a trip down the famed 17-Mile Drive, a scenic road on California's Monterey Peninsula that runs through Pebble Beach and Pacific Grove. 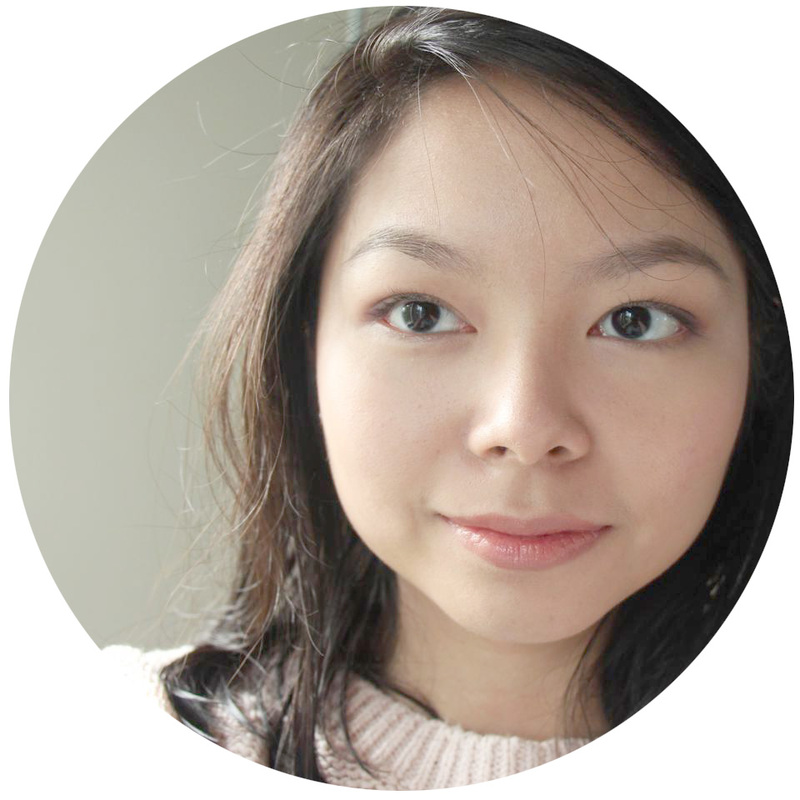 Through the wind and the chill, the overcast skies lit the eerily desaturated photos. The official symbol of Pebble Beach is the Lone Cypress, a salt-pruned Monterey cypress (Cupressus macrocarpa) tree. 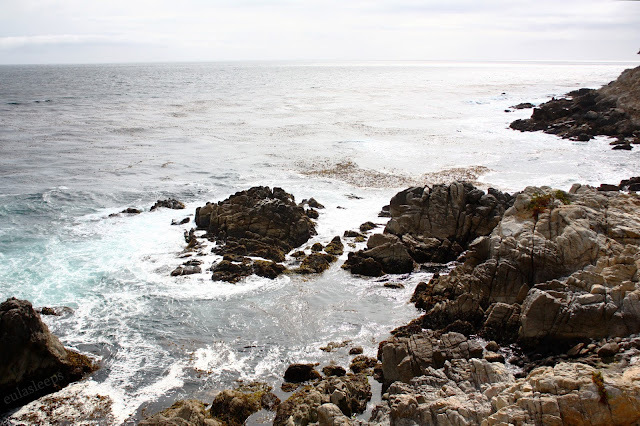 This species is found only around Pebble Beach and Point Lobos. Already perched on the rock before the year 1813, it now has a supporting cable to keep it from falling. 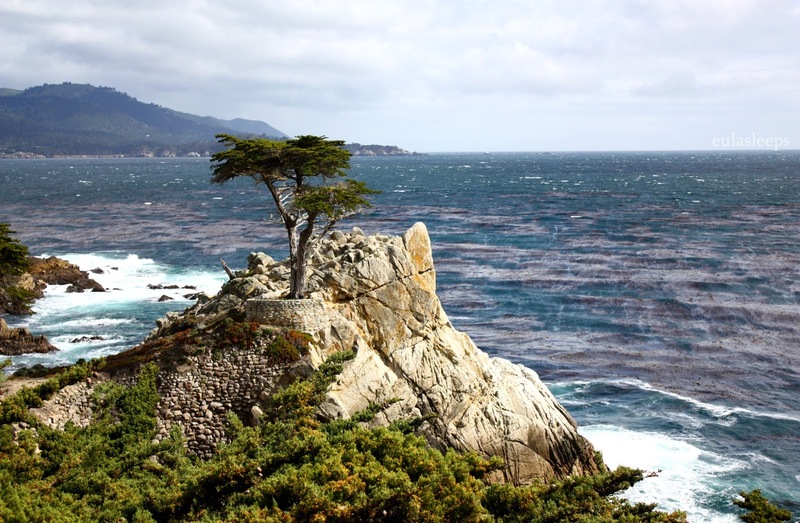 Pebble Beach Corporation claims it holds copyright to the Lone Cypress as a registered trademark of the property. 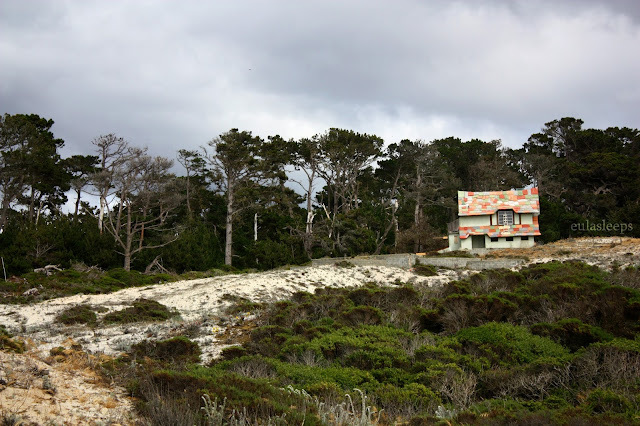 Hugging the Pacific coastline, 17-Mile Drive serves as the main road through the gated community of Pebble Beach. Non-residents have to pay a $9.75 toll to use the road. The route provides many scenic viewpoints, both seascapes and landscapes. 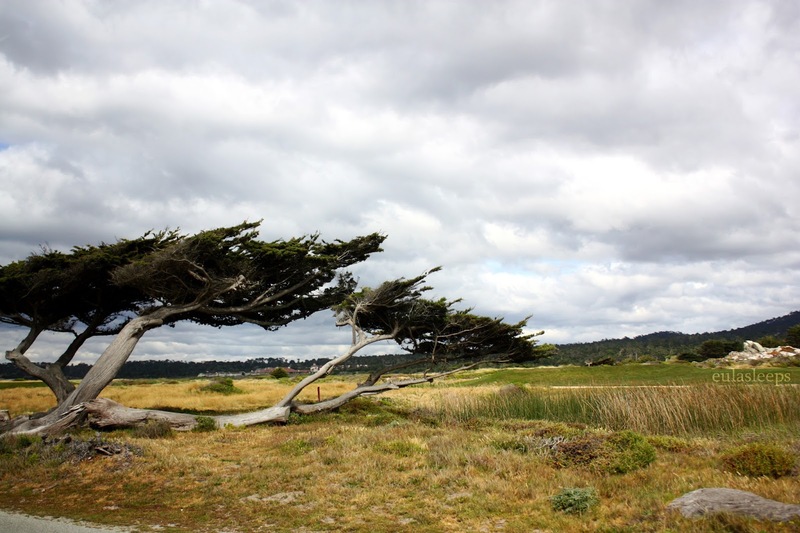 Numerous turnouts along the way allow for gorgeous "Kodak moments," or simple strolls along the ocean and among the trees. A red-dashed line is marked in the center of the main road to guide visitors, help prevent them from accidentally turning into the adjacent neighborhood streets. What I loved most was the raw quality of the landscape, craggy rocks with very little beach, jagged tree branches, and everywhere the sound of the sea and the wind.